Enrollment in Nutrition Boot Camp through a FivePoints Fitness will provide you with an opportunity to accomplish all of you health and wellness goals. It’s a cost-effective holistic health plan that is designed to make permanent positive changes to your health, increase vitality, and maintain your ideal weight while providing ongoing guidance every step of the way. Our approach will give you the step-by-step instructions and monthly meal plans necessary to take control of your own health. The core curriculum found in this four-month series provides the functional education you need as well as the professional guidance to be able to make lasting, sustainable changes. Each month you’ll receive your digital downloads along with a half-hour private consultation with our on-site nutritionist, Haley Whitley. Each month builds on the last by targeting a specific goal that will help you eat healthier and live better. 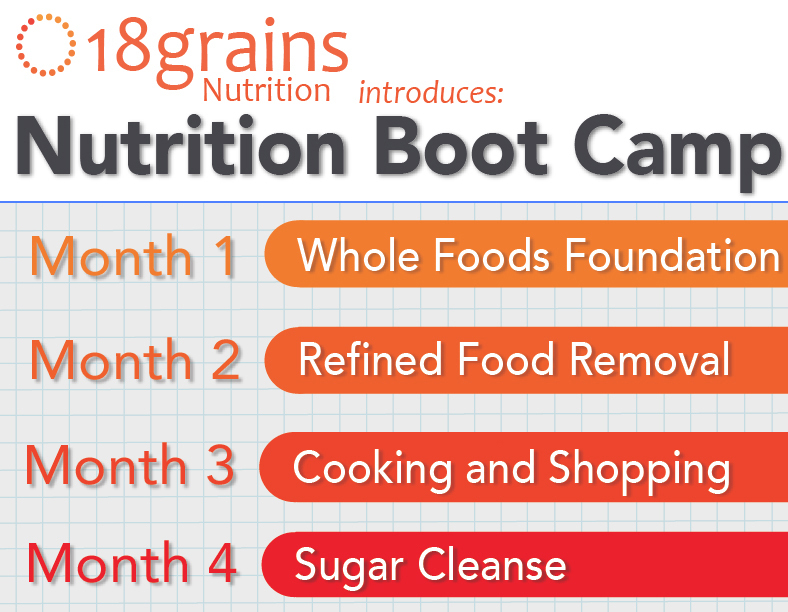 Furthermore, the program outlines monthly activities to effectively help execute the goal and offers seasonal whole food meal plans, cooking tips, and recipes. Haley also offers individual one-on-one nutritional consulting sessions at the gym. Whether your goal is weight loss, coping with food sensitivities, or simply eating better, Haley will empower you to make the healthiest choices that will help you live a vibrant life. Haley Whitley is the founder of 18grains.com and the creator of Nutrition Boot Camp. 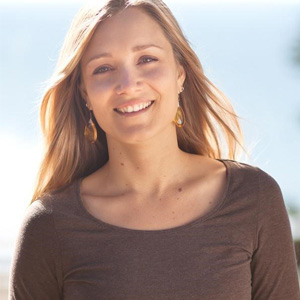 Her background in psychology and teaching, combined with training in holistic nutrition, allows Haley to uniquely understand the underlying issues that affect weight issues, allergies, and other poor health conditions. She has always had a passion for good food, but fell in love with cooking and eating whole foods when she began to feel the difference in her own life. Haley helps her clients see positive changes in their body image, energy level, mood, and athletic performance. Haley currently lives in Larkspur, California and works with clients throughout the Bay Area. She is currently getting her Masters of Science in Holistic Nutrition from Hawthorn University. Haley is a Pilates, Boot Camp and Barre instructor at Pilates ProWorks and Mind Full Pilates.